The aim of this article is to provide solid information to buyers who plans to buy candles from Yiwu China, but are still lack of enough useful information, or those who want to buy candles from China, but don't know from where to start. Of course, as there are thousands of different candles from about 100 suppliers, I can’t list all of them here. Instead, I would just go for the main types of candles so you can evaluate the potential offered by this market, using your own expertise. And, because the prices are fluctuating from time to time because of material price, labor cost, and market demands etc. The prices here can only serve as reference, NOT actual prices. * Disclaimer: we try all what we can to provide objective and actual information, but we can't GARANTEE the info posted here are 100% right, for all the time. And we are not responsible for any loss caused by the information here. 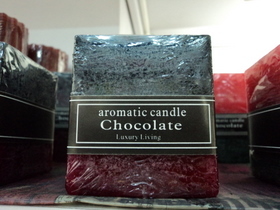 Candles is an comparatively old business in Yiwu. 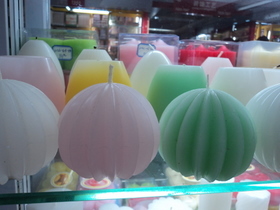 Some of the producers inside Yiwu market is already in candle business for 10+ years. About 100 shops scattered on Floor 3, District one of the main market - futian market. A few more shops in district 4 are also selling candles. These shops are wholesaling either on behalf of their own factory, or on behalf of other factories they represent. These are 6.0cm * 6.0cm * 20.0cm rose scented candles. Different cups and designs, same price - 1.30USD/per. 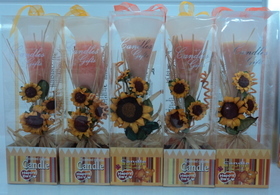 These are 8.0cm * 8.0cm * 25.0cm big candles. Price is about 1.72 USD/per. some candles are more decorative than scented. These are decorative scented candles. 8.0cm * 8.0cm * 25.0cm. Price is about 1.72 USD/per. 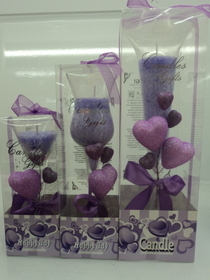 smokeless scented candles, 6.0cm * 6.0cm * 20.0cm, about 1.00 USD/pc. 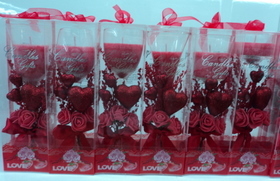 This is Valentine's Day candle, 6.0cm * 6.0cm * 15.0cm, about 1.30USD/per. 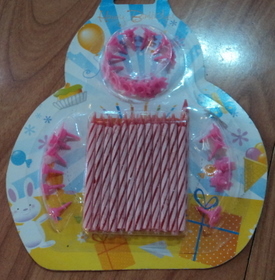 6.0cm birthday candles, 24 pcs / pk, about 0.07 USD/pk. 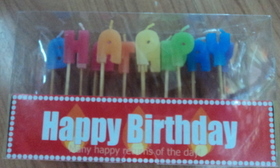 6.3cm happy birthday candles, 24 pcs / pk, about 0.10 USD/pk. 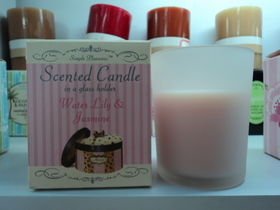 jasmine scented candles, 7.5cm*7.5cm*9.5cm, about 1.10 USD/pc. 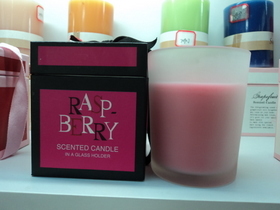 raspberry scented candles, 7.5cm*7.5cm*9.5cm, about 1.10 USD/pc. 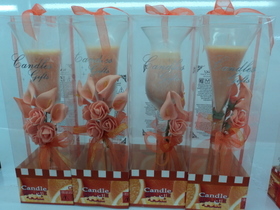 coffee scented candles, 7.5cm*7.5cm*9.5cm, about 1.10 USD/pc. 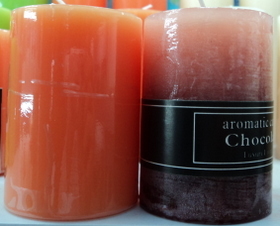 aromatherapy scented candle, 7.5cm*7.5cm*9.5cm, about 1.10 USD/pc. 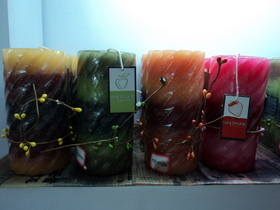 fruit candles, 3.5"*5", about 0.51 USD/pc. 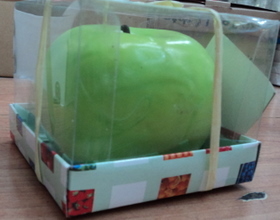 apple fragrance candles, 2 candles in a pack, about 0.51 USD/pk. 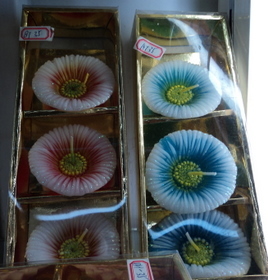 cheap floating candles, 3 pcs /set, about 0.54 USD/set. 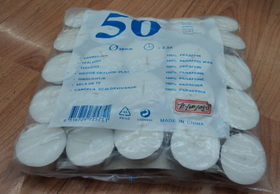 cheap wholesale candles, about 2.5 burning hrs, 38mm diameter, 50 pcs /pk, about 1.14 USD/pk. clear fragrant candle, 18cm high, about 0.51 USD/pc. scented candles with colorful led, 70mm diameter, about 0.70 USD/per. 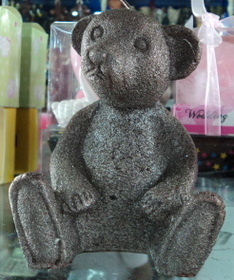 an animal-shaped candle in Yiwu market. Most of these candles are of mid-end and low-end. The quality is OK . Actually, many suppliers can't offer any certificates, even the ingredients facts for small orders. But the factories has a longer history can offer different certificates for different markets. The MOQ for most of the candles listed above is 480 pcs per design. or say 20 ctns. Some candles can easily melt because of the heat in a container. So if your are shipping candles in a hot season, or your container will pass a hot area. It's not a good idea to put your candles on the top layer of the cartons inside your container. Very important, the candles should always be put according to he "this side up" lable. Otherwise, you will receive empty glass cups if they melt. The candle on the left is non-melting, the one on the right(the icy one) is melting. So if you are going to import the melting ones, you should handle with great care. 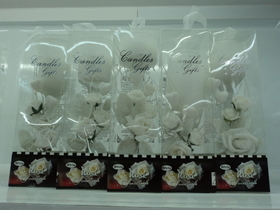 *We’ll constantly update any useful information regarding buy candles from Yiwu China in the following days. Pls. stay tuned. buy photo frames from Yiwu, China. buy crystal items from Yiwu, China. ★ Want an in-depth report ONLY for your products? 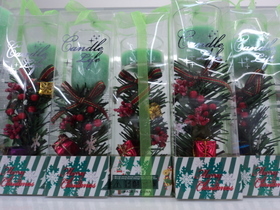 >> Return to buy from Yiwu from buy candles from Yiwu China. >> Back to Yowu Marker Guide Homepage.